Gränsfors Bruk has committed over 100 years to manufacturing and developing axes. 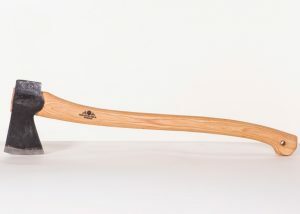 Every axe is specifically designed to meet a particular function, with a tireless focus on high quality and area of use. 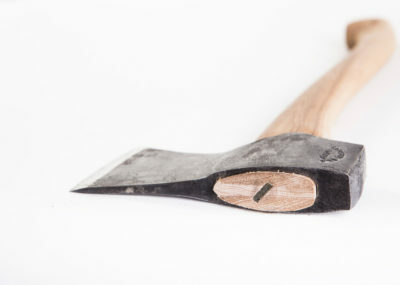 A considerable amount of effort has also been put into producing axes with sound green credentials, avoiding any unnecessary consumption of natural resources. 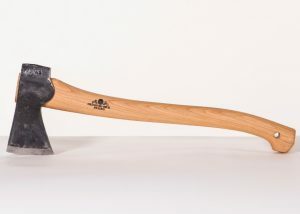 Each Ax is hand-made in Sweden and bears the “makers mark” of the craftsman who forged it. Each “straight-grained” hickory handle is a testament to the quality of these axes. 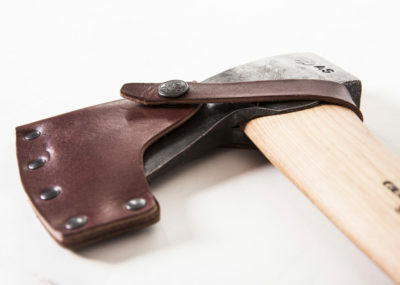 The Gränsfors Small Forest Axe is popular with backpackers since it has a slightly shorter handle that allows the ax to fit nicely into a backpack or rucksack. 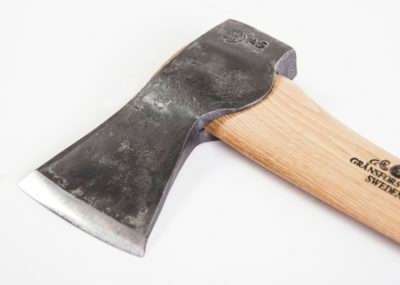 The Gränsfors Scandinavian Forest Axe is the favorite of all of the Midwest Native Skills instructors and most of the Maine Guides. 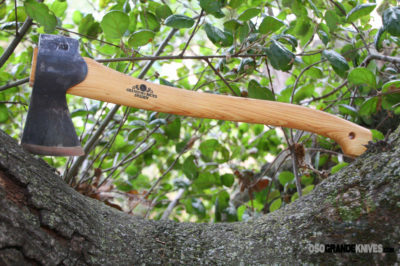 It is the more professional axe, ideal for felling larger trees and for limbing a felled tree. The axe is forged to a curved bit, making it suitable for cutting into fresh, resinous wood such as spruce or pine. 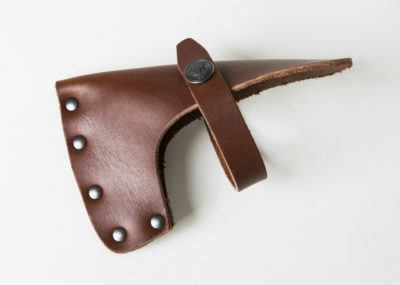 All of Gränsfors axe sheath are made from vegetable-tanned leather. The leather is tanned to prevent it being broken down by bacteria. Gränsfors Bruk sources its leather from Tärnsjö Garveri, one of the few tanneries in Sweden that still produces vegetable-tanned leather. Gränsfors Bruk has specifically chosen not to use chrome-tanned leather, as we feel that its green credentials are not sufficiently high. Chrome tanning was developed in the late 19th century in order to treat hides in a cheaper way than vegetable tanning. Chrome-tanned leather commonly retains traces of chromium, which can cause allergic reactions and is also not biodegradable. 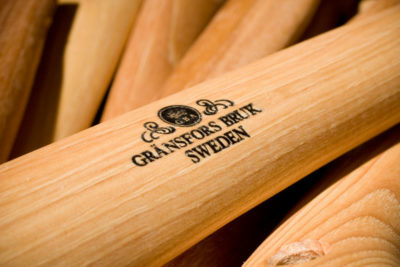 Gränsfors Bruk’s handle is made from hickory, the perfect wood because it is both strong and flexible, with long, parallel fibers. This increases the life of the handle and thus helps reduce consumption of nature’s resources.